If you’re interested in having a clean furnace, there are many ways you can achieve that goal and keep from having a Denver furnace repair company to do it. A clean furnace will function better and produce more heat. Moreover, it won’t lead to malfunctions as often, so you no longer have to worry about technical problems and high repair costs. 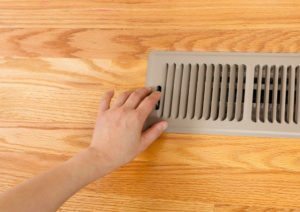 Start by turning the power off when you open up your furnace. This is important in order to avoid that a short circuit or a discharge might cause a spark and lead to an electrocution hazard. Once the unit is open, you are free to reconnect the power and check the flames. They should burn at an even pace and with a clear, blue color. Avoid breathing on the burners, and avoid adjusting them yourself. You should leave that one to the professionals. You can vacuum the burners and the furnace base using your regular vacuum cleaner along with a ½ inch drain line. This will ensure that your drain line can fit in well and that the absorption power is strong enough to remove any unwanted debris. You can continue your DIY cleaning session by removing the blower’s bolts, cleaning the blower’s blades carefully using a vacuum and a tiny brush, and changing the furnace filters if necessary. The furnace filters should be affordable enough to replace once every 3-4 months without any financial difficulty. Heating is always a problem in a place like Colorado. Despite the fact that the summer in Colorado is quite pleasant, the winter can be exceedingly cold in some cases, especially if you live in an area that’s closer to the northern part of the state or to the notoriously challenging Rocky Mountains. In order to make sure you’re prepared for the winter, it’s important to have a reliable Denver HVAC contractor take a look at your home and your heating system. 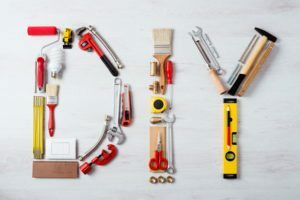 Depending on the amount of insulation you have, the siding and roofing materials of your home and the state of your HVAC, you may need to make a few modifications and get some improved, energy-efficient replacements for certain elements. Another great way to avoid any heating problems is to isolate areas of your home you don’t use too often and limit their temperature by adjusting your heating system accordingly. That way, you’ll cut your energy costs down to size and ensure your main areas have better coverage when the lowest temperatures hit. Finally, it’s also a good idea to get an upgraded heating system that can perform better than the old one. Most Colorado contractors will be more than happy to help you choose the right system for your home and provide you with the best technicians to complete the installation process.